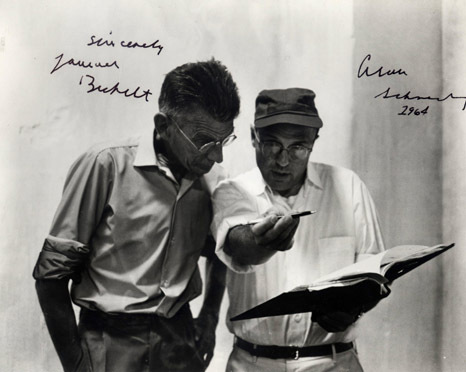 Home » Film Reviews » Film – Samuel Beckett takes to the flicks. Film – Samuel Beckett takes to the flicks. I watched a wonderful short film tonight. A man is running through the streets. he is spotted by a couple and recoils at the sight of them, running on past. The couple are shocked to see him. he runs on, till finally he reaches the door of a room. At the door he takes his own pulse. he then enters the room. Inside the room, the man is clearly confronted by ‘the gaze’. He does not want to be seen. He begins a process of elimination, removing or covering up anything that has or appears to have an eye with which to see him. This includes hanging a heavy black curtain over his window, covering his mirror and removing his pets. In a very funny short scene he tries to remove his cat and then his dog, only to have the other race back into the room as he puts the other out. Once he manages to remove both the cat and the dog, and cover the mirror and the window, he is haunted by the sparkled eye of his bird. He covers the birds cage with a large cloth. he is then confronted with the bulbus unblinking eye of his pet goldfish. He then covers the fish bowl with a heavy cloth. he is confronted with the eye of an image that it appears he himself drew at another time. So he takes it off the wall and tears it to shreds. At this point, he sits in a chair (that also appears to have eyes and is watching him) and checks his pulse again. Then he goes through some photographs that appear to be images from a person’s life. he gets distressed at the images and tears each photograph up into small pieces. All this time the camera has been following the man from behind, but it moves now, so that we are facing the man. Confronting him. he (and we) are shocked to see from his point of view for the first time, that the person behind him is actually himself. He is confronted with his own face at the end. He cries, and of course, through the shock and horror of confronting himself, knows that he is alive. 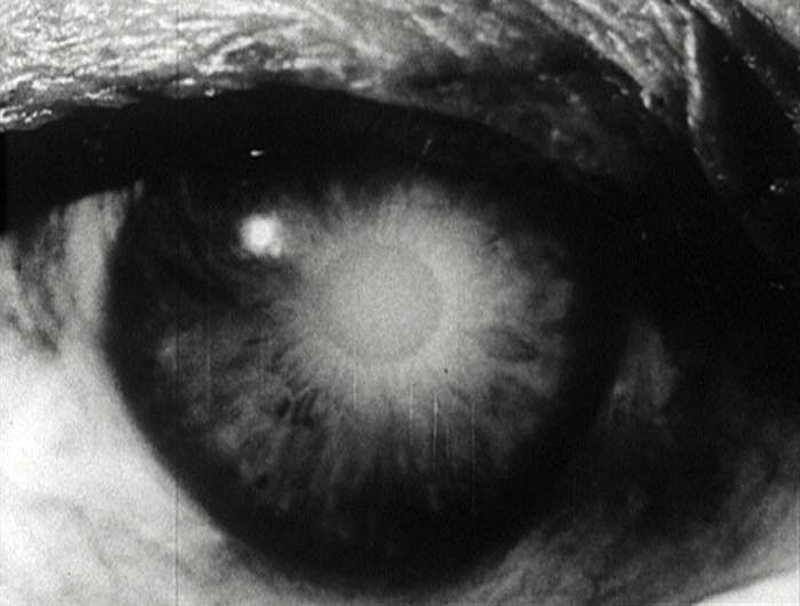 The film is largely about the attempts to avoid the all seeing eye – perhaps what Lacan would call ‘The big other’. 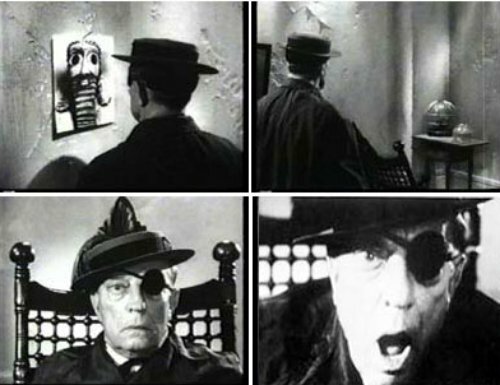 it is an almost completely silent film except for one ‘Shhhhh….’. 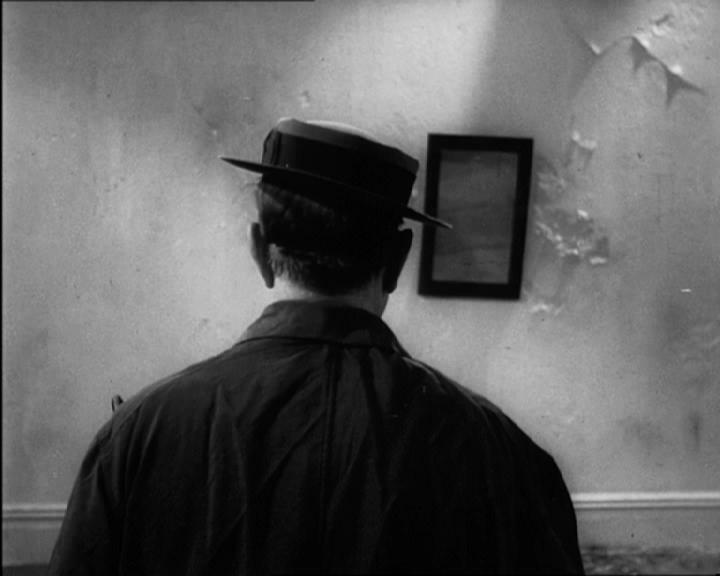 The film is based around the notion of being seen as existing, the man’s very existence conspires against his efforts. Because he is alive, he can’t avoid the gaze.The film, takes its basis Berkeley’s theory Esse est percepti, that is “to be is to be perceived”: even after all outside perception — be it animal, human or divine — has been suppressed, self perception remains. Samuel Beckett’s only venture into the medium of cinema, Film was written in 1963 and filmed in New York in the summer of 1964, directed by Alan Schneider and featuring Buster Keaton. For the shooting Mr. Beckett made his only trip to America. Film was edited by Sydney Meyers and the cinematography was by Boris Kaufman, both of whom were preeminent in their fields. Film was produced by Barney Rosset and Evergreen Theater. If you’d like to check it out, I recommend watching it through Ubu Web. Or, on You Tube right here. So glad you enjoyed it! Really – could Beckett do anything wrong? I loved it to. Thank god for Ubuweb is all I can say!